Automattic… it’s a thing. And it’s now a rapidly growing and expanding thing, to the tune of $1.16 billion. As someone who pays their bills building websites with WordPress, I have a vested interest in Automattic and it’s vision for the future of the internet and WordPress specifically. I’m also really impressed with this 30-year old “other” Matt (Mullenweg). He’s seems really approachable, and I really like his demeanor and the way he does business. So this Forbes Interview is perhaps the most extensive one I’ve seen of Matt. It’s also the most revealing in terms of Mullenweg describing the niche that he sees WordPress filling. For example, it’s fascinating that they only have 15 employees at their headquarters in San Fransisco, and that they now have 240 employees globally. Plus, Mullenweg wants to hire another 100 as soon as he can. Everything about how the money is handled, hiring remotely, the software itself; they all scream: Open Source. Transparency. Trust. With all that said, I just have some comments and thoughts about the interview that I wanted to share. Things I’m looking forward to, and things I’m apprehensive about. Good stuff first. Hiring Spree. I think that’s incredible. I’ve met a few employees from Automattic at various WordCamps, and they all seem to be really great people who really know their stuff. In the interview, Mullenweg says that currently he’s spending the majority of his time hiring. I think that’s incredible. He also says that he’s just hiring the best. So if he hires 20 in a year, or 50 in a year, the metric is quality not speed. I think it’s a great mentality and we should all see that reflected in the development of both WordPress.com and the Open Source platform over the next couple years. That’s pretty exciting. Jetpack. I can already hear all the developers groaning. WordPress developers tend to hate Jetpack. I know why, and I understand it, but you can’t deny that being able to leverage the power of the WordPress.com CDN and functionality for your self-hosted site is impressive. In the interview, Mullenweg highlights why Jetpack is so important to them, it’s a HUGE part of their revenue. I totally understand that for the.com’s, but for the self-hosted version the only monetized “modules” in Jetpack are VideoPress and VaultPress. From everything he said about Jetpack, it’s basically their bread and butter, which means you’ll see a lot more coming from it in the future, and it will become more and more unavoidable in the self-hosted sphere. Reach Out to the Self-hosted Users. 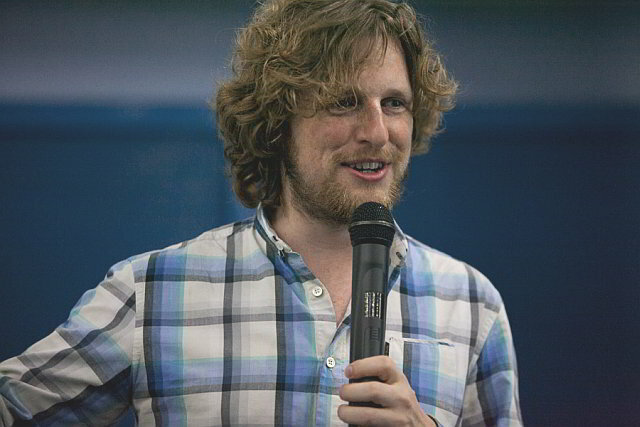 Mullenweg also referenced Jetpack as a kind of bridge between Automattic and the self-hosted users. Then he followed that up saying that there’s no sustainable future in being a web host much longer (bad news GoDaddy! ), which WordPress.com is. Put that all together and it seems that Automattic will be looking for more and more ways to generate revenue in the self-hosted sphere rather than predominantly in WordPress.com. Depending on what kind of developer you are, that might be good or bad news. In my mind, it’s exciting. MOBILE! He talked about the future of WordPress as focusing very directly on the mobile experience. And when he talked about it, he focused on the mobile operating system. That’s fascinating. There has already been a lot of talk about WordPress as a platform, and plugins as features, but I think Mullenweg has something very radical in mind with mobile, and I think it’s worth waiting for. I already mentioned that I really like Mullenweg’s demeanor and professionalism. So it was a little bothersome when he compared how Autommatic hasn’t had any internal leaks compared with Yahoo! It just sounded like schadenfreude. In some ways he should be above that. In other ways, it might just be a reflection of him being young and having a ton of responsibility. I also am a bit apprehensive about the way Mullenweg chose to compare Automattic primarily to Facebook, Google, and Yahoo!. That might be just because they have the biggest share of global internet traffic, similarly to WordPress. But in my mind, they are apples and oranges buffalo. I’d rather he compare Automattic to Apple, or to Microsoft, for two major reasons: (1) They are platforms for creation; not primarily social media or software as a service like FB/G/Y!. (2) When you compare WordPress to Apple or Microsoft, the emphasis is placed on innovation and development, not profitting from traffic and personal information. While I’m excited about mobile developments, I am also a little surprised that Mullenweg concluded saying “I don’t think another Operating System is the right way to approach it.” Honestly, in the case of WordPress as a platform, it would be so much sweeter of an experience if Automattic would look into creating it’s own fully Open Source mobile platform. Or at least it’s own fully open source mobile browser, which would leverage WordPress directly. I’m not sure why he would be hesitant about getting into that field, specifically when he also bemoaned how Android is only partially “open” and iOS is totally locked down. Time to break the mold! So there it is. Just my thoughts and reactions. Would love to hear some of your own reactions below.